Who doesn’t like to get free things? When it is related to flights and the amenities you get there; free complimentary meals are always welcome by the passengers. Free meals in flights are making a comeback; that means you can again enjoy the facility of complimentary meals on specific flights. Here are the different airlines which initiate a step to impart best to their customers or travelers by offering them different facilities and services. American Airlines (AAL) announced on Tuesday that it will again offer free meals on selected flights to all passengers of economy class on certain cross-country flights; starting from May 1. It added that the offer is applicable to all flights between Los Angeles and New York, and between San Francisco and New York. The variety of the meals being offered will depend upon the time of the day. From continental breakfasts to desserts, passengers will have a huge variety to pick from. Along with that, several vegetarian options will also be available in that; as the passengers can pick a vegetarian meal or a fruit-and-cheese plate. This facility of offering the complimentary meals in the main cabins of selected flights will let the passengers get the glimpse of luxurious traveling experience. The Delta Airlines become the first one to introduced or revive the facility of free meals after announcing it on 1st of March. You can enjoy this facility if you are traveling in specific flights like New York’s John F. Kennedy Airport to Seattle, San Diego, and Phoenix; Washington D.C. to Los Angeles and many other flights. This is a part of a multi-million dollar effort to improve customer experience across the board. 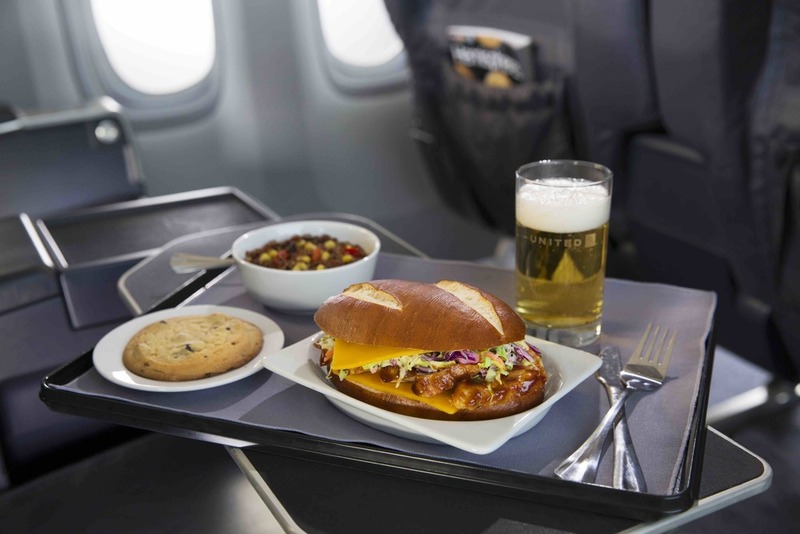 The complimentary meals facility in various long haul flights between New York City’s John F. Kennedy International Airport to Los Angeles and San Francisco will let the passengers taste different flavors and cuisines. Delta has taken an initiative by introducing this facility back in 2001 in many domestic flights and expands its services to several other flights too. You can also witness the amenities like cabin snacks, blankets and free in-flight entertainment to passengers in here. Along with that, the provision of complimentary beer, wine, spirits and sleep kits facilities will let you enjoy your traveling experience. Delta amazed many travelers with its new re-introduction of meals in flights. When we talk about the complimentary meal services in flights, how can we forget the Hawaiian Airlines! These airlines offer you to get the taste of delicious island-inspired meals like the hot ciabatta sandwich, farfalle pasta with marinara or ginger chicken with rice and veggies; which are totally free to the routes of North America, South Pacific, and Asia routes. Apart from that, you can also enjoy a wide variety of drinks to make your traveling experience exceptional. The Hawaiian Airlines also offer special services to their young guests of 2 to 12 age, by offering them special child meals. The unique feature of the meal facility is that the eatables you get on Hawaiian Airlines are “ALL NATURAL”, that means it does not contain any preservative and is wrapped in eco-friendly packages. To satisfy your dietary restrictions, these airlines offer special meals such as vegetarian or vegan meals. To compete with its competitors, United Airlines may soon announce the same thing. As for now, the airlines offer free meals on international flights only, but it is predicted that it may also expand its services regarding the same. Previous Previous post: How To Deal With The Lost Baggage at The Airport? Next Next post: Feeling Nervous To Take Flight For The First Time: Here is What You Need!